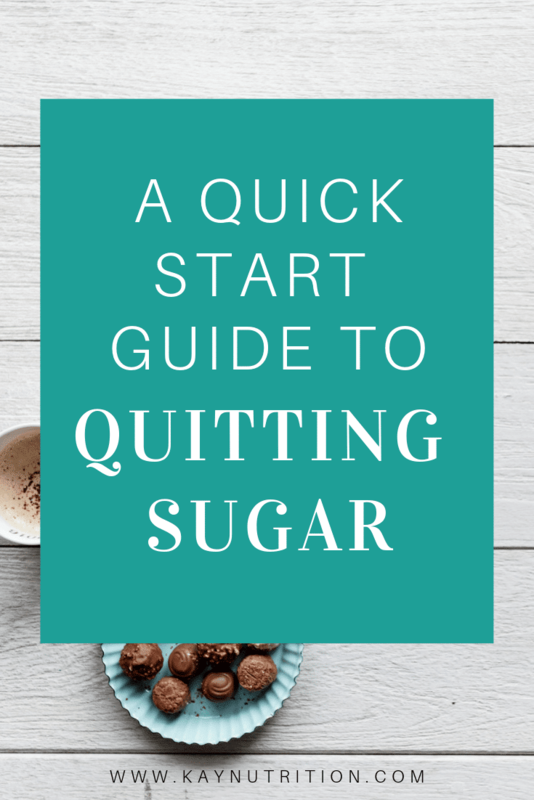 Download my Quick Start Guide to Quitting Sugar! 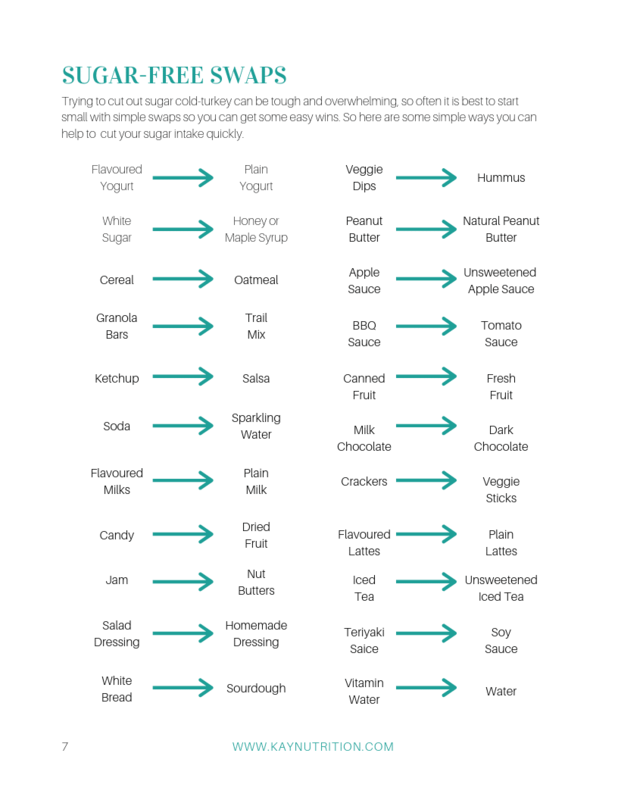 Want to quit sugar, but not sure how? Grab a copy of my quick start guide and learn how to get started today. 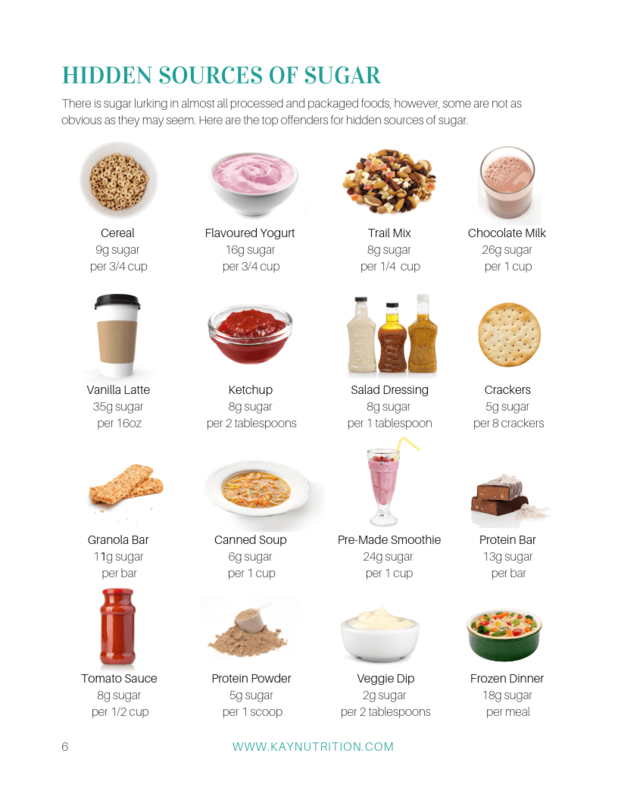 Although most people recognize that sugar is unhealthy, reducing the amount of sugar in our diets is not always as easy, or as simple, as it may seem. Yes, sugar is easy to identify in the obvious places like cakes, cookies and candy, but it is the not so obvious sources of sugar in foods that we eat every single day that can make it harder to quit. 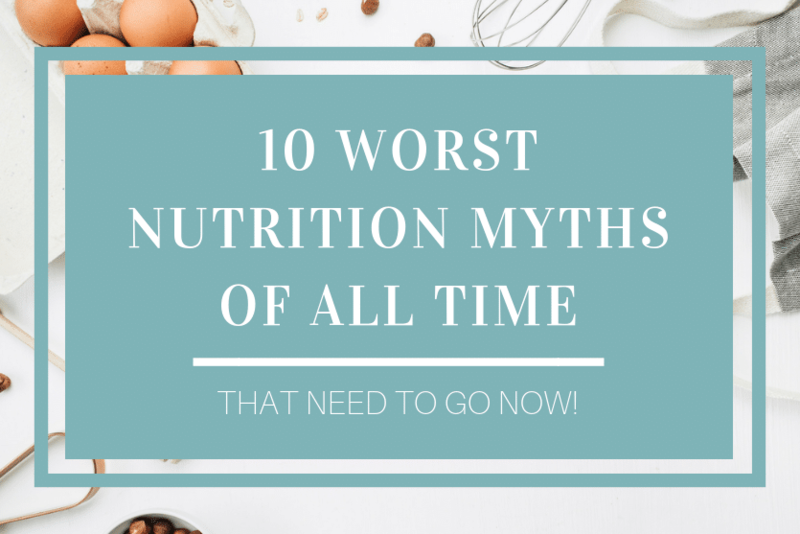 In fact, everything from cereal to granola bars, smoothies, and protein powder contain hidden sources of sugar which can impact our sugar cravings. 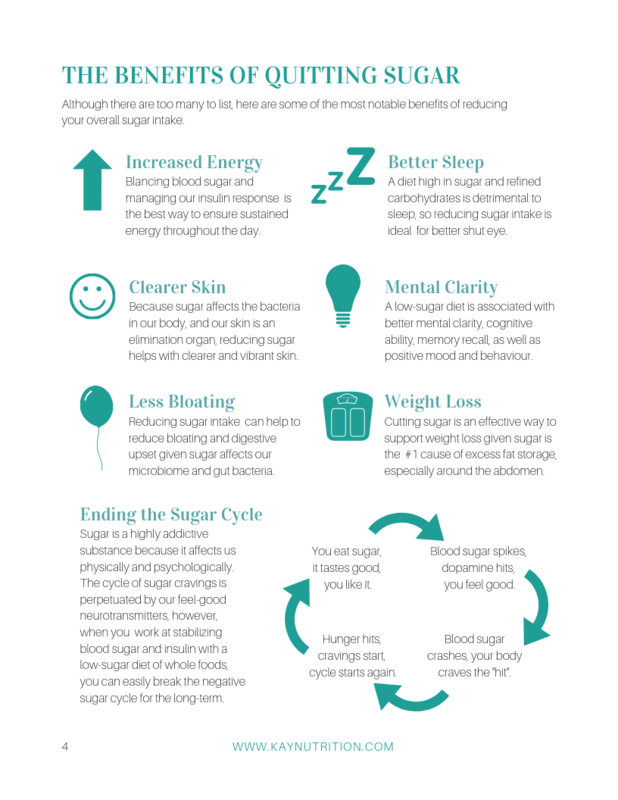 Not only has sugar been liked to large health issues such as obesity, heart disease and Type 2 Diabetes, but sugar can also impact day-to-day issues such as energy, sleep, weight, digestion and skin, just to name a few. Fortunately, quitting sugar is not as complicated as it may seem when you have the right tools and information to do so. 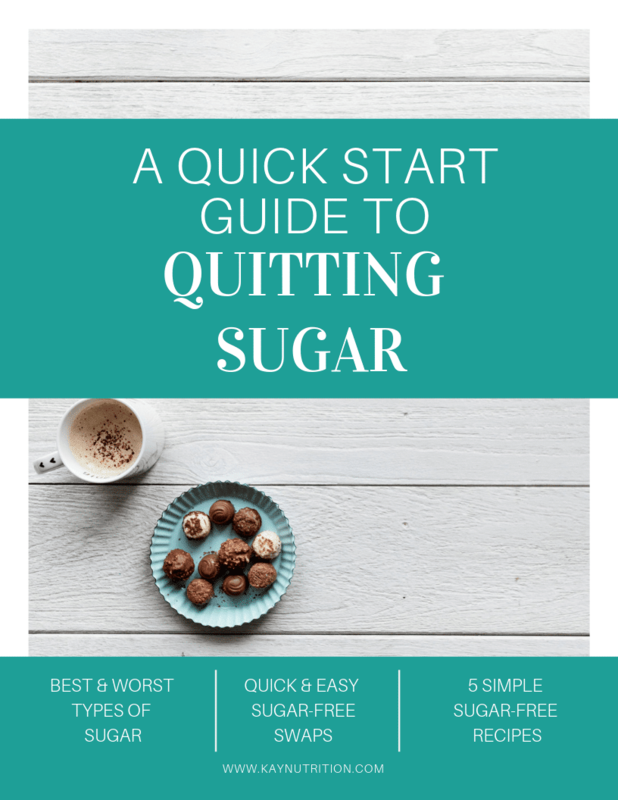 So, in order to help you out, I’ve put together this free Quick Start Guide to Quitting Sugar with all of the information that you need to get started. 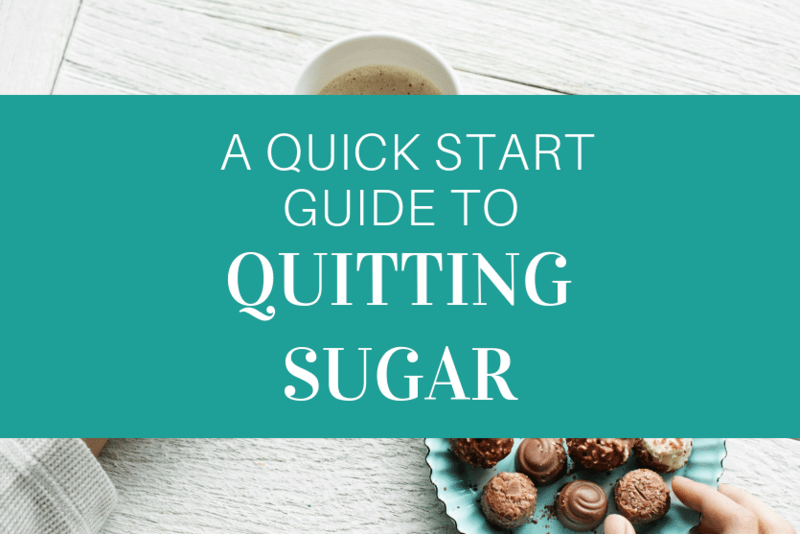 This guide contains a detailed breakdown of the issues surrounding sugar, the benefits to quitting it, the different types of sugar, hidden sources of sugar, simple sugar-free swaps, and 6 easy to follow steps to get you set up for success. 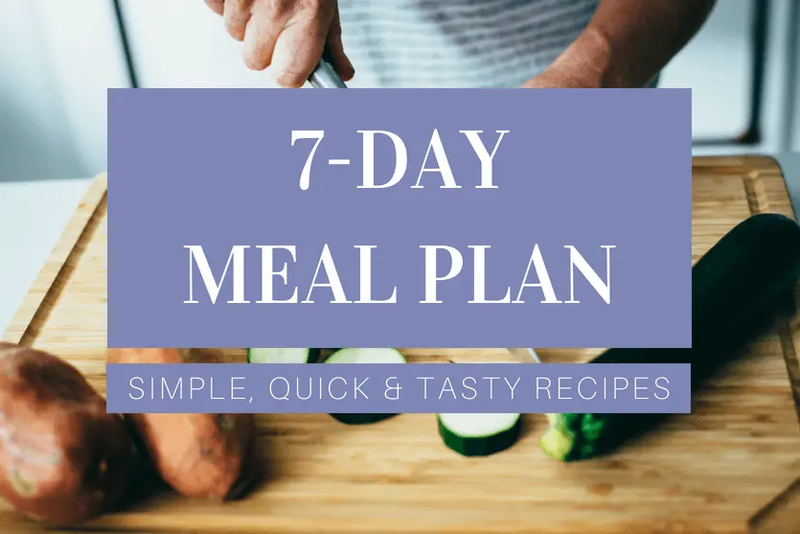 Plus, I’ve included 5 sugar-free recipes that are simple to prepare and so darn tasty you won’t even notice the difference.